Thiruvananthapuram: Kerala health minister KK Shailaja has sought a probe into an incident where surgeons at a hospital allegedly forgot a surgical instrument in the abdominal cavity of a woman during a hysterectomy operation. 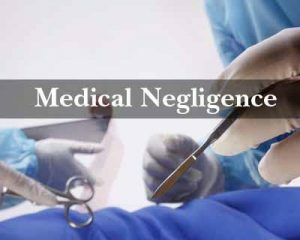 The error was noticed when the operation theatre staff at the Nedumangad taluk hospital started counting their instruments after a 45-year-old woman underwent a surgery to remove her uterus, and they found a surgical clip missing. They rushed the woman for an X-ray examination that revealed the missing piece was lying in her abdomen. The surgery was carried out on Thursday morning. According to the woman’s relatives, they got restive and began to enquire when the woman was inexplicably kept in the operation theatre for long even when the surgery was over. The woman was later taken to the Medical College Hospital in the state capital where the “foreign object” was removed. “The surgery went off well and the foreign object was removed and the patient is recovering,” a statement from the hospital in Thiruvananthapuram said.